Last year we made the trip to Milan to check out what was on offer at Salone del Mobile. We would recommend anyone within the industry to make the journey at some point, we definitely valued our trip there! Unfortunately we've missed out on the event this time round, yet we've scoured the web for the low down on europe's largest design event. The 'Structure' exhibition brings together 26 Norwegian designers showcasing a variety of work. We're big fans of this Sofa design by Sara Polmar. Ercol launch a range of new items designed for Home and Office interiors that take inspiration from their mid-century designs. Pictured above are products from the Marino Living set. Kettal are showcasing the 'Riva' collection designed by Jasper Morrison. The collection is inspired by the construction of outdoor furniture to create a range of seating and tables. 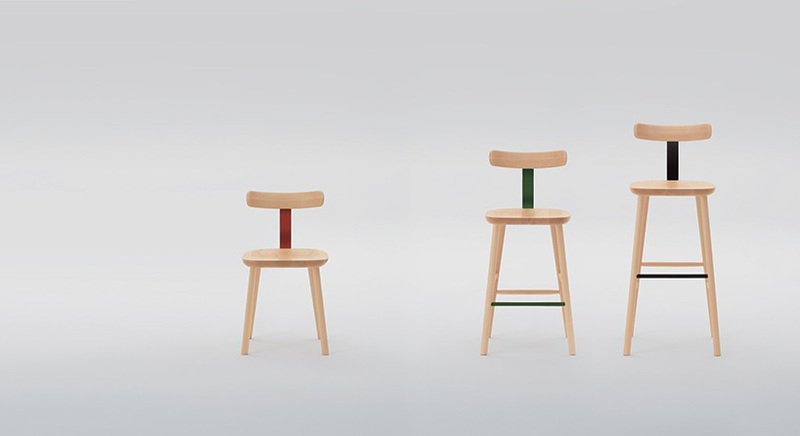 Even more Jasper Morrison designs hit the Milan stage from Maruni Wood Industry. Morrison designed the T Chair pictured, whilst collaborating with Naoto Fukasawa, another acclaimed designer, on other parts of the collection. 'Phoenix' by OFFECCT is designed by Luca Nichetto. It's name sake is due to the renewable materials used throughout the construction of the product; rising from the ashes, as it were. Stellar Works feature 'Valet', a collection of furniture designed in association with David Rockwell. This preview image has us very interested. To cap off our brief review we have the work of Michael Anastassiades for Herman Miller. We think this image above is a stylish nod to Herman Miller's Mid-Century heritage. Milan Design Week runs until the 17th April and we will keep our eyes peeled for exciting developments in the next few days.